Home / Lights / Valerie Anne Poxleitne / Wikipedia / Who is Lights? 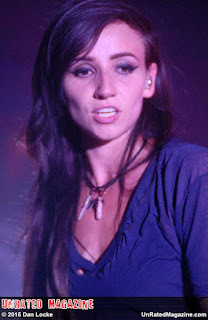 Lights (born Valerie Anne Poxleitner; April 11, 1987) is a Canadian musician, singer, and songwriter. Some of her notable singles include "Drive My Soul", "February Air", "Ice", "Second Go", "Toes", and "Up We Go". Lights tours extensively to support her recordings. In 2009, she was awarded the Juno Award for New Artist of the Year. Starting in early 2008, Lights toured cities in the Great Lakes region, in both Canada and the United States. In late 2008, she toured the United States. In August 2008, Lights signed a record deal with Toronto-based label Underground Operations. She also signed an American partnership deal with Warner Bros. along with Doghouse Records. She toured from January–May 2010 with contemporary synthpop artist Owl City in Canada, the United States, and Europe. Lights won Indie Awards in the Favourite Solo Artist and Astral Media Radio Favourite Single categories during Canadian Music Week in March 2009 in Toronto. She won the Best New Artist Awards in the Hot AC and CHR categories. All awards were for her debut single "Drive My Soul," except the award for Favourite Solo Artist.In November 2010, her debut album The Listening was given a gold certification by the Canadian Recording Industry Association for sales of 40,000 units.